Dr. Kelly Morales always appreciates feedback from her valued patients. To date, we’re thrilled to have collected 55 reviews with an average rating of 4.98 out of 5 stars. 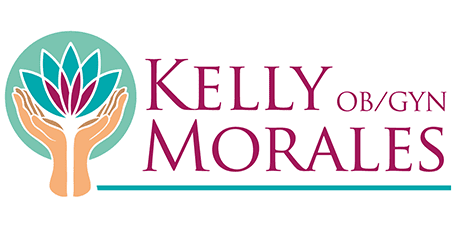 Please read what others are saying about Dr. Kelly Morales below, and as always, we would love to collect your feedback. Awesome Doctor! Very informative and appreciate the time she gave me during my appt. Dr. Morales is by far the best doctor I’ve ever had! Dr Morales is very Caring and concerned about her patients. She makes sure that I understand the treatment process and to always make herself available to my medical needs. I was referred to Dr. Morales by my previous doctor who retired this year. I was apprehensive at first, but Dr. Kelly Morales made me feel comfortable from the very moment my husband and I met her. She is very knowledgeable and personable. She lets you know everything up front and explains things in great detail. She took very good care of my baby and me, and took the time to answer any and all questions we had. I am very grateful that I found her, and she will continue to be my doctor of choice! Dr Morales is very professional, but friendly. She always takes a minute to talk with you, asking about your life. Best Dr I've ever had! She informed me of every detail and was very nice. Dr. Morales is very compassionate and has a wonderful bedside manner. She gives thorough explanations so you have a true understanding of your care. She is awesome! Was very informative and took the time to answer all our questions. Made us feel that she truly cares. Excellent doctor who really takes the time to listen and talk to you! The knowledge and information given about my questions or answers was wonderful. Dr. Morales is always so thorough when explaining options and procedures. She always makes me feel comfortable. Dr. Morales takes her time and answers any questions you may have. She is very easy to talk to. She helped when we lost our baby and was there when we decided to try again. She was very patient and reassured us every step of the way. We just can’t say enough about her. Extremely nice bedside manner, made me feel comfortable and answered all my concerns. I’m definitely coming back. Best obgyn by far! My first pregnancy and she's been amazing. She always takes her time every visit. Always willing to answer all questions and listens to all my concerns. I love my obgyn and office staff! Dr. Morales is beyond amazing! She really listens to your concerns, answers any questions you may have and just genuinely and deeply cares about your health. So happy to have found her. Will definitely be recommending her and this office to anyone looking for an amazing OBGYN. Dr. Morales is HANDS DOWN the BEST ob/gyn I’ve had the pleasure to work with. 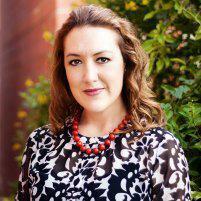 She is very passionate about what she does and cares for her patients. I will continue to have Dr Morales as my gynecologist until she retires!! Had a wonderful visit with Dr. Morales. She was so caring and knowledgeable. Her staff was helpful and facility was so clean. I look forward to delivering my next baby with her!! !